Four crew taking part in the ARC transatlantic rally were rescued a matter of hours before their yacht sank last week. Skipper Steve Arnold and his crew were doing the ARC on Magritte, a Moody Grenadier 134, and were around 130 miles from the Cape Verde islands on Thursday 3 December when they reported a large ingress of water, the source of which they could not trace. Arnold called event organisers World Cruising Club which in turn alerted MRCC Falmouth. As it was getting dark and the water could not be stemmed on board the yacht, Falmouth Coastguard advised the skipper escalated the situation to a Mayday and activate their EPRIB. The distress was handled by the nearest rescue co-ordination centre, MRCC Cape Verde. 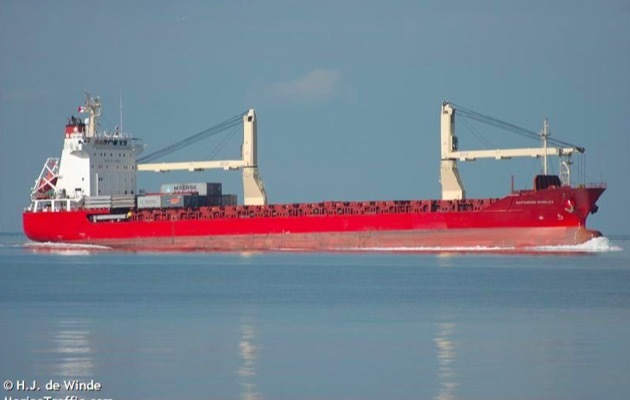 The Swiss cargo ship SCL Basilea responded to their request and diverted to the yacht’s position, arriving some nine hours after the initial call. The crew were able to abandon safely and are presently on board the ship. The yacht was fitted with a Yellowbrick tracker, which ceased transmitting positions the same day, therefore the yacht is presumed to have sunk. The Moody Grenadier 134 is a 13m long-keeled Laurent Giles design from the 1980s. Arnold and his crew had in the days previously made a pit stop at Mindelo in Cape Verde to make repairs believed to be unconnected to the water ingress. Steve Arnold is an experienced skipper who, with his wife, Teresa, was planning to carry on from the Caribbean on the World ARC, sailing as far as Australia. This was to have been his second sailing voyage round the world; he took part as one of the crew on the 2004 Global Challenge westabout race, on board Save the Children. He and his crew are on board the ship, bound for Spain, where they are expected to arrive by next weekend.